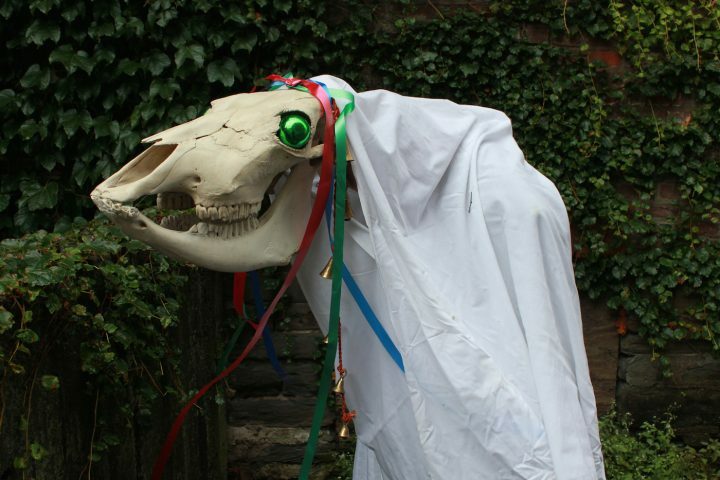 In the Welsh folkloric tradition of Mari Lwyd, a horse skull visits your home around Christmas, and you must best it in poetry or allow it inside. There’s a skeletal horse singing rhymes outside your door, and it wants to come inside. 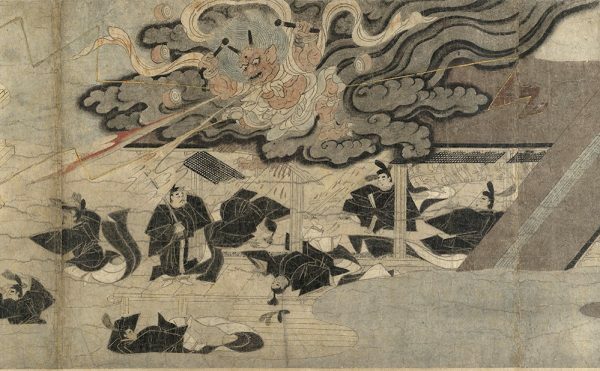 Can you beat the dead mare in a battle of poetic wits? 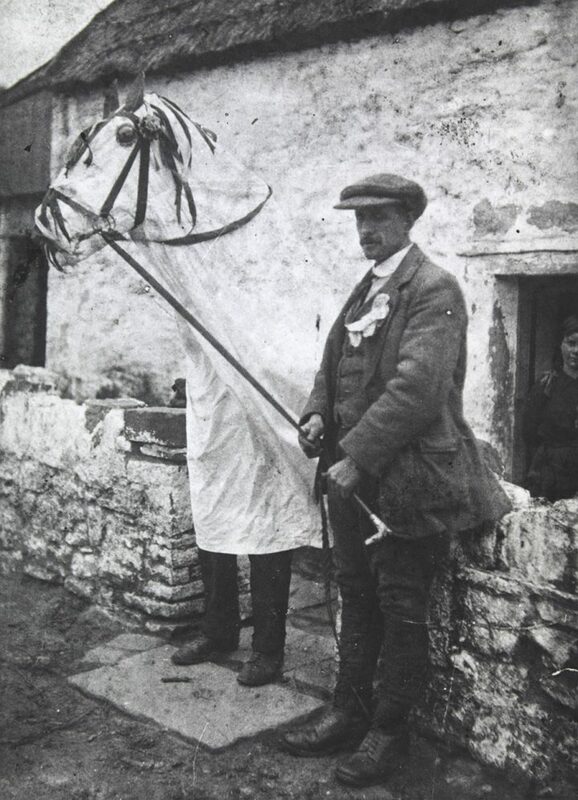 This is the Welsh tradition of the Mari Lwyd, a mid-winter custom wherein the skull of a horse, decked out with bells and ribbons, is paraded on a stick by a reveler beneath a sackcloth, who challenges neighbors in exchange for drink and food. 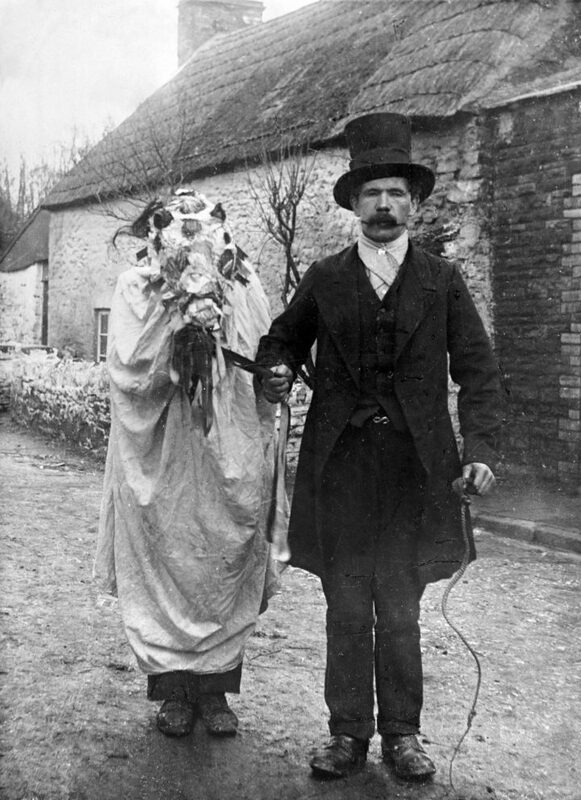 It probably goes without saying that although Mari Lwyd now manifests around Christmas and New Year’s, this is a pre-Christian practice, one of those pagan rituals that’s endured on the British Isles over the centuries. 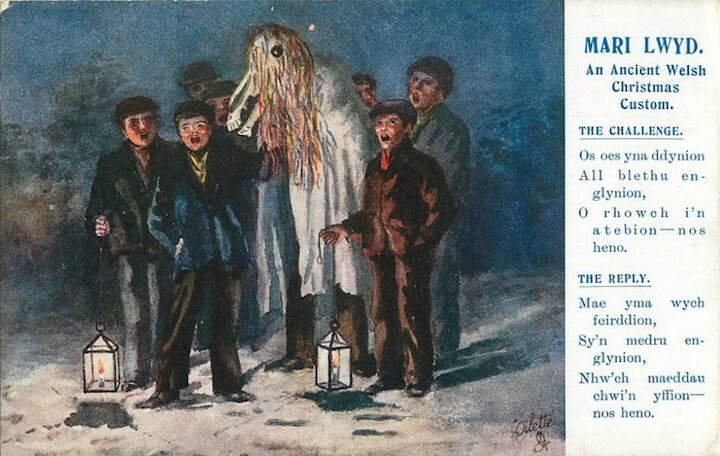 The rather terrifying spectacle of Mari Lwyd did nearly disappear from Wales at one point, yet it’s had a resurgence recently, with Christmas ornaments being used for eyes occasionally instead of old glass bottle bottoms. 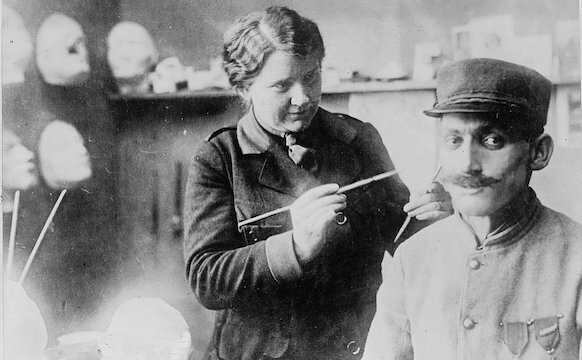 The insults in the “pwnco” battles, as they’re called, are milder these days, and the drinking a little less heavy, but the sardonic grin of the horse skull, sometimes with a spring-loaded jaw, remains to haunt your Yuletides. In the 1966 video from the BBC Wales below, the Mari Lwyd dialogue plays out in matching rhymes until the undead mare is let in. 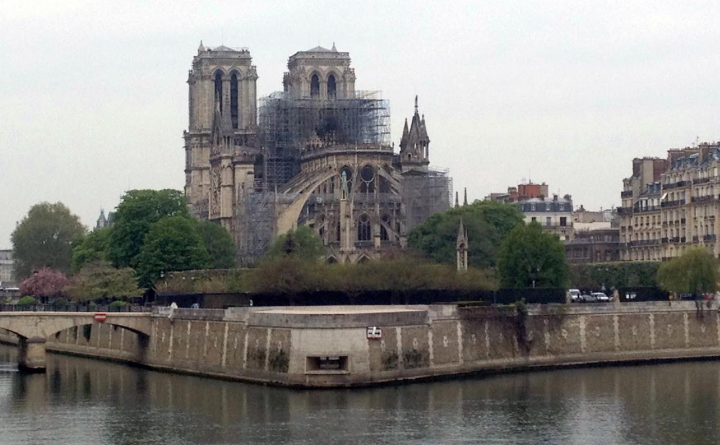 Exactly why anyone, at any point in history, thought this was good fun is lost to the ages. Music Traditions Wales (which offers a flat-pack Mari Lwyd for schools to assemble) points to the deep visual culture of the white horse in Britain, such as the late prehistoric Uffington White Horse carved into the hills of Oxfordshire, England. 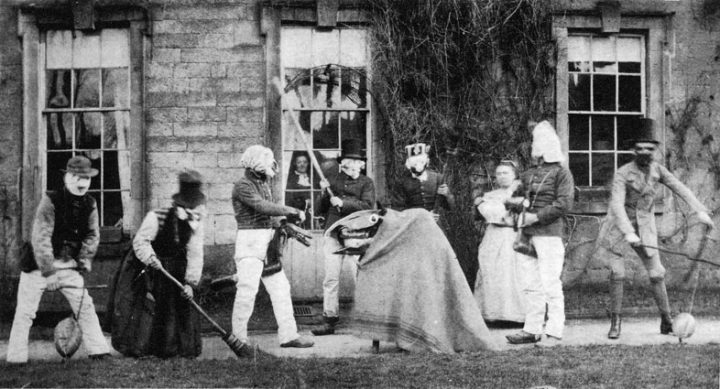 And there is a wider, worldwide heritage of ritual animal disguise, including the similar practice of hoodening in Kent, England, which features a hobbyhorse on a pole held by a person under a sheet. 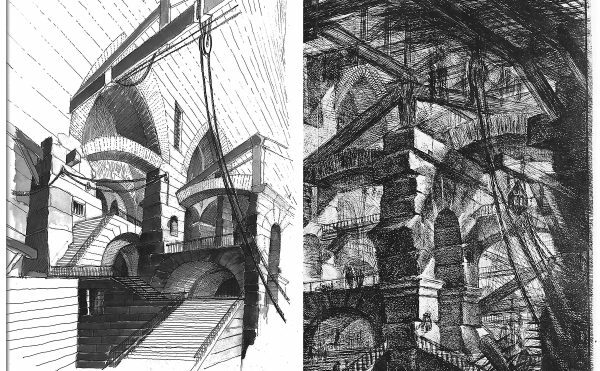 The tradition has also had its influence on visual art. In 1998, the late painter William Brown portrayed Mari Lwyd as an animated creature with human feet, while Clive Hicks-Jenkins has explored the character in a series of narrative illustrations; there’s even a mural tribute in Cardiff by the street artist Phlegm. 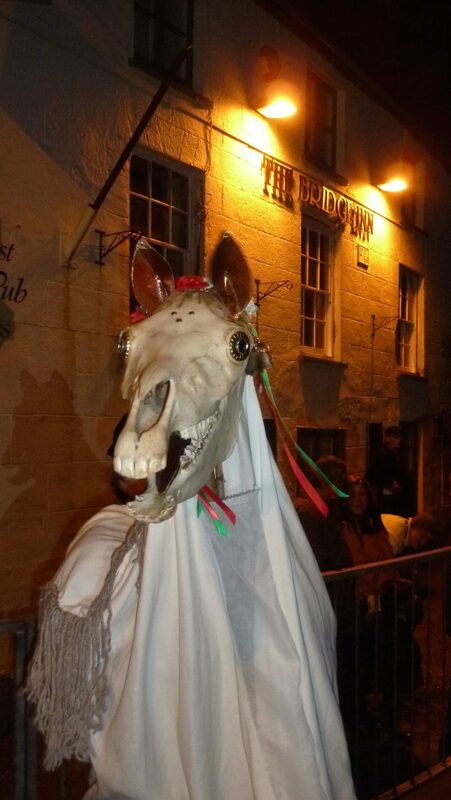 The day on which Mari Lwyd roams varies from town to town, so keep an eye out and a sharp wit for when the mare comes around.